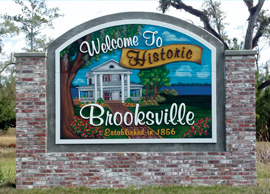 Brooksville is a city of approximately 7,700 people. It's the county seat of Hernando County and is located an hour north of Tampa. It's also close to some of the Nature Coast's natural attractions. Brooksville is an hour southeast of the Chassahowitzka National Wildlife Refuge. The 31,000-acre refuge contains saltwater bays, marshes, and the Gulf of Mexico, where one can enjoy water sports,fishing and boating. Care for a hike? The Withlacoochee State Forest is the third largest state forest in Florida. The World Wildlife Fund has called it "One of the Top 10 Coolest Places in North America You've Never Seen." It's located about seven miles from Brooksville, and outdoor enthusiasts can engage in endless activities like hiking, horseback riding, biking and canoeing. Cycling ranks high on things to do in Brooksville. The Get Healthy Brooksville Cycling Classic attracts participants from all throughout Florida to bike over cobblestone paths! Brooksville also has easy access to several hospitals, such as Brooksville Regional Hospital Inc., Spring Hill Regional Hospital and Oak Hill Community Hospital. In addition, Brooksville has several of the top golf courses to be found in Florida. One stand-out is World Woods Golf Course. It's listed on the PGA website as one of the World's Most Beautiful Golf Courses. World Woods is two 18-hole courses, one of which has been described as "a Tom Fazio masterpiece." Whether you're in an active lifestyle or a more laidback pace, Brooksville has everything you need to enjoy a great quality of life! Hernando Beach is located on the Gulf of Mexico in Hernando County, which has a population of about 172,000 people. It is a water lover's paradise. Whether you enjoy boating, swimming, relaxing on beaches or canoeing, you will find something to enjoy in Hernando Beach. Excellent golf courses abound in the area. One standout is Silverthorn Country Club in nearby Brooksville, which has an award-winning golf course designed by respected course architect Joe Lee. Open since1994, Silverthorn Country Club is a public course with a 131 slope rating and 96 bunkers. The country club is available for banquets and weddings. The Weekiwachee Preserve is just a stone's throw away. It's a 6,000-acre protected wildlife area that contains swamps, marches, sand hills and 5.5 miles of dirt and paved roads. It's also part of the Great Florida Birding Trail, where you might spot an eagle, hawk or ibis standing proudly by water's edge. Fun abounds and nothing is too far away in Hernando Beach. 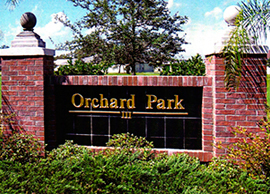 Orchard Park is a community near Linden Drive and Deer Street in Spring Hill in western Hernando County. Located about 35 miles northwest of Tampa, Orchard Park small community consists of ½-acre home sites available for sale. There's plenty to do in the area. Swimming, canoeing, kayaking, barbecues, volleyball, and shuffleboard are all common pastimes, as well as relaxing and entertaining with friends and neighbors. Volunteer-run Nature Coast Botanical Gardens is a Spring Hill highlight. The gardens are open to the public and free. There are 21 themed areas, and guided tours are available. They are open seven days a week from dawn to dusk. Native and foreign plants and flowers line pedestrian paths where people enjoy peace and quiet. Great fishing can be found just minutes away from Orchard Park. Anglers have reeled in two record breaking weight Tarpon in the nearby Gulf of Mexico. Bikers, hikers and walkers can also take advantage of major trails in Hernando County. Both popular chain restaurants and world-class local food are just moments away when you're living Orchard Park. Orchard Park is a Nature Coast treasure! Located near the intersection of Elgin Blvd and Sand Ridge Blvd in Spring Hill in Hernando County, Sand Ridge is a small, quaint, gated community about 35 miles northwest of Tampa. It has home sites available for sale. Enjoy easy living, stress-free lawn maintenance, and low homeowner association fees in this quiet neighborhood. Hernando Beach is close by. Weeki Wachee Springs State Park and its famous mermaids are just a short trip north. Be sure to visit our Sand Ridge Model Center at 4957 Sand Ridge Blvd., Spring Hill, Fl, 34609. 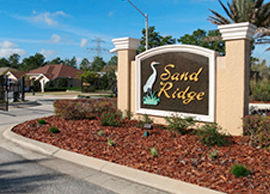 Sand Ridge is close to everything and exactly where you want to be! 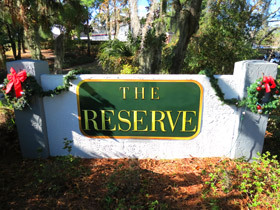 The Reserve at Seven Hills is located at 1226 Mariner Blvd, in Spring Hill on Florida's Nature Coast in Hernando County. 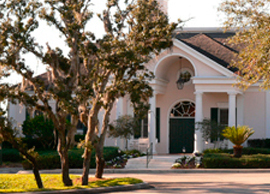 At The Reserve of Seven Hills, you get the feel of country club living with championship golf right in your backyard! If you want the feel of a country club without the expense, choose a home site in The Reserve. The over-sized, 1/3 acre home sites in The Reserve are ideal for larger homes. Nearly all of the sites are next to the golf course. You'll have beautiful views of long fairways and well-manicured greens. Limited access provides a secure feeling to this prestigious section of the Seven Hills community, but underground utilities and well-maintained common areas create an atmosphere of spacious freedom. Artistic Homes is one of several specially selected construction firms that help build investment value in the community. Residents of the Reserve can find hometown comfort just minutes away. The Reserve is close to Suncoast Elementary School, a variety of restaurants, Spring Hill Regional Hospital, a skating rink and a very well-equipped YMCA. Hernando County contains many public and private golf courses, most of which are par 72. Golfers will find terrific driving ranges and putting greens. There are two Tom Fazio-designed courses for those who dare to take on top-notch 18-hole greens. There are also ample opportunities to enjoy the performing arts. The Hernando Symphony Orchestra has been performing since 1983 and is in its 29th season as of 2013. The nonprofit Stage West Community Theatre is also a popular destination for residents of Spring Hill. One of the most popular local eateries is Boston Cooker, a popular destination for seafood fans. The Reserve at Seven Hills is one of a kind! 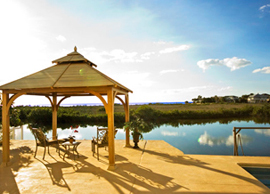 Spring Hill is located just two miles from the Gulf of Mexico. This vibrant community of about 100,000 sits in Hernando County, right on the border of Pasco County and just 35 miles northwest from the big city excitement of Tampa. Spring Hill is a family-friendly community. There are 17 public schools in the area. There are also several hospitals in the area, including Spring Hill Regional Hospital, Oak Hill Hospital and Brooksville Regional Hospital. Sitting on the quiet Nature Coast, Spring Hill is a welcome break from the hustle and bustle of Orlando theme parks. But it still has plenty of attractions. Performing arts fans can get their fix at Hernando Symphony and Stage West Community Theatre, both of which are popular venues. Pine Island Park on the Gulf in northern Hernando hosts a small coastal community and a public swimming beach as well as various public recreation facilities. In addition, Spring Hill is just a short drive from Weeki Wachee Springs and its mermaids, Florida's oldest roadside attraction. Whether you enjoy outdoor activities or some of Florida's most unique attractions, Spring Hill is a Nature Coast gem! 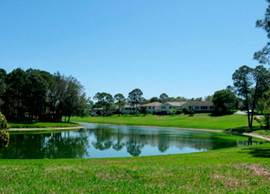 Sugarmill Woods is located in Homosassa, Fla., at the southern tip of Citrus County on the Gulf Coast. It is about70 miles north of Tampa, but there is plenty to do in this oasis. Boating, swimming, canoeing, fishing, hiking, golfing, scuba diving and swimming with manatees are just some of the fun things to do in the area. The site of Sugar Mill Woods originally hosted cattle operations, and the design of the Sugar Mill Woods community was meant to incorporate the natural beauty of the area and preserve its ecology. More than 4,000 housing units that made up this community of mostly retirees in 2005. Sugarmill Woods has terrific golf courses where you can improve your swing and get a little exercise. Sugar Mill Woods golf course was designed by golf great Hale Irwin. Homosassa Wildlife Park is nearby. Here, you can see manatees from an underwater viewing station. Watch them as they dance for viewers. It might be hard to believe, but sailors used to think they were mermaids! The park is a great destination for catching glimpses of Florida wildlife. Bobcats, deer, river otters, snakes, turtles, tortoises, and even a hippopotamus can be seen from the park's wooden paths. Homosassa also hosts Yulee Sugar Mill Ruins Historic State Park. The mill was once a large sugar plantation and supplied sugar for troops from the South during the Civil War. In addition to giving folks a peek at the past, the ruins present another chance to see Florida wildlife. More than 155 types of plants and animals call the area around Sugar Mill home. Just a hop, skip and a jump away Chassahowitzka National Wildlife Refuge hosts over 250 species of birds, along with reptiles and endangered manatees. Nearby Crystal River has over 200 species of birds, including ibises, kites, eagles and hawks. It's only natural to enjoy life in Sugarmill Woods. Located in Hernando County about an hour north of Tampa, Weeki Wachee is home to Weeki Wachee Springs State Park. The park is famous for its performing mermaids, and its 400-seat underwater theater delights visitors with daily shows. Water lovers can find much to enjoy at Weeki Wachee Springs. The park hosts fabulous boat tours, canoeing and kayaking, scuba diving, snorkeling, and swimming activities. There are a handful of great golf offerings in Weeki Wachee, including nine-and 18-hole courses. The Weeki Wachee Preserve contains 5.5 miles of dirt and paved roads for bike trails. It's a great spot for bird watching, boating, paddling, and both freshwater and saltwater fishing. There is plenty of fun to be found in this community located far from the hustle and bustle of Disney and Universal Studios. Lic# CRC014079 | Copyright © 2018 Artistic Homes Inc.